Tree Ottawa Earth Day Workshop! Everyone loves trees! 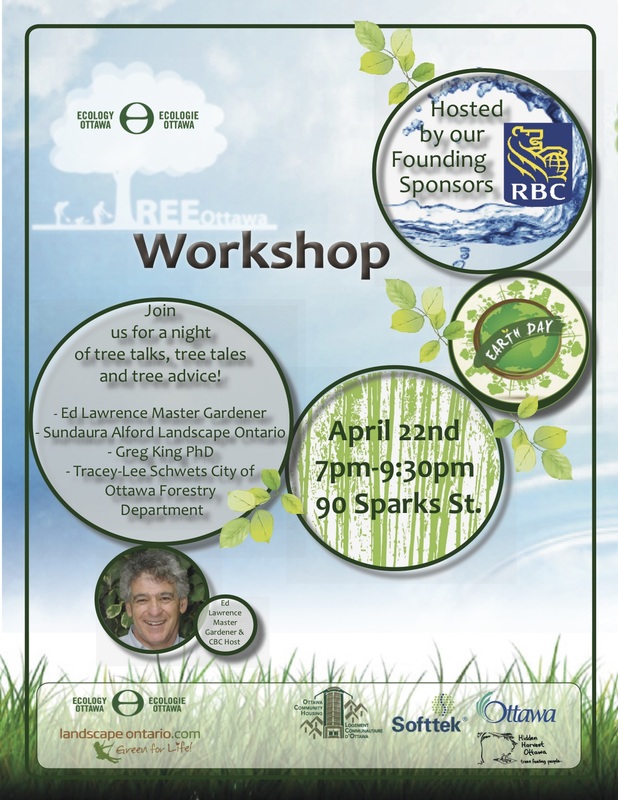 This Earth Day, Wednesday April 22nd, Ecology Ottawa and RBC are hosting a special event to share the work of Tree Ottawa and discuss the importance of trees to our city. We are very excited to have Ed Lawrence joining us to share his vast knowledge and many years of experience. Throughout his career Ed was head gardener to six Canadian Governors General and Prime Ministers, and can be heard weekly on CBC Radio’s Ontario Today. Other guests will be joining us to share their expertise on how we can pull together as a community and protect, plant, and promote Ottawa’s trees for generations to come! Admission is free, with donations gratefully accepted. Space is limited, so please RSVP by clicking here!